No matter whether you’re a tech professional like me or a mere hobbyist, you should have already realized the redundancy associated with heavy use of mouse clicks in everyday computing. Simply said, most tech geeks find it demoralizing to browse the app menu each time they want to invoke a different app. Thankfully, Linux, among its other convenient features, allows us to utilize a versatile set of Linux Application launchers to get rid of such monotonous tasks. Application launchers for Linux come at distinct flavors. From awe-inspiring vibrant launchers rich in modern-day UX trends to bare minimums, you can easily find a wide variety of Linux Application launchers for accelerating your opensource workflow. If you’re an avid user of the Linux system like me, chances are you already found the perfect fit for your use cases. Finding the best Application launchers for Linux, however, is no simple task for beginners. We often see people getting puzzled when searching for appropriate Application launchers for Linux. 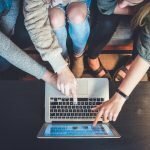 The thing is, different launchers are built for different people, with each having their own development style curated to fit their differing agendas. Many users want their choice of Linux Application launchers to be a massive powerhouse, while many like me tend to stick with minimal solutions. Whatever serves your appetite that’s up to you. 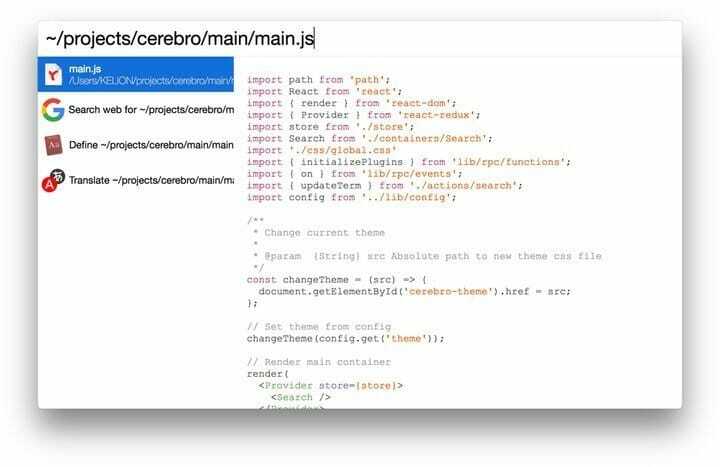 Marketed as a productivity booster with a brain, Cerebro is one of those few Application launchers for Linux that can be the right productivity booster for any opensource enthusiast. Right out of the box, Cerebro features a clean interface with lots of whitespaces that provides a quite immersive user experience. The design is as pragmatic as possible, while the performance is efficient. Cerebro offers users an enigmatic file preview on top of a mesmerizing GUI that can be easily used as a calculator, smart converter, google search, or file system navigator. The opensource nature of this Linux launcher gives users the ability to tinker with the utility itself and add custom features as they dim fit. Users can easily modify Cerebro’s launch command by going Ctrl+Space from menu bar >> preferences. Thanks to its opensource nature, a significant number of extensible Cerebro Plugins are available to boost your experience even further. Cerebro features a clean and concise visual design, a striking point absent in most Application launchers for Linux. It’s a great alternative to Spotlight for MacOS. Tagged as a window switcher, Application launcher and dmenu replacement; Rofi does a lot of things most Application launchers for Linux fails to cope with. If you’re an enthusiast of simple but powerful opensource Linux Application launchers, you’re certainly going to fall for this vibrant application. Rofi can aid to those extra bits of increase in workflows for even the most advanced developers. Unlike many Linux application launchers in this list, Rofi is equally rewarding to new Linux users. Learning this as a newbie Linux user isn’t so hard, and the result is much more than satisfactory. 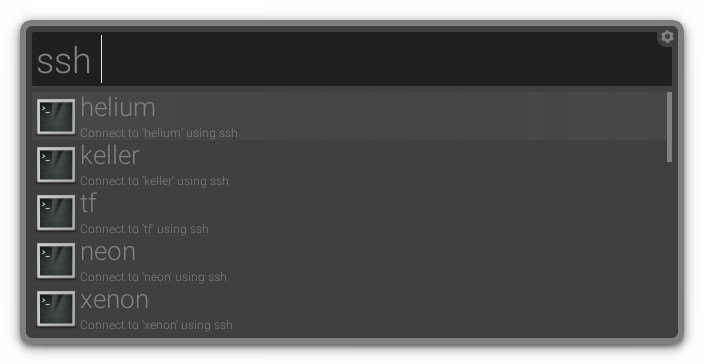 From supporting regex, glob matching, fuzzy search to providing remote machine accesses via ssh, Rofi does it all and many more. Rofi is exceptionally customizable and can be extended to newer dimensions quite easily. This powerful app launcher embraces a minimalist design philosophy, yet allows for theming customizations by utilizing customizable scripts. The keybindings of Rofi are very useful and resemble closely to those of Emacs. With zero images and decreased redundancy, Rofi is among those perfect Linux application launchers veteran devs are always looking for. 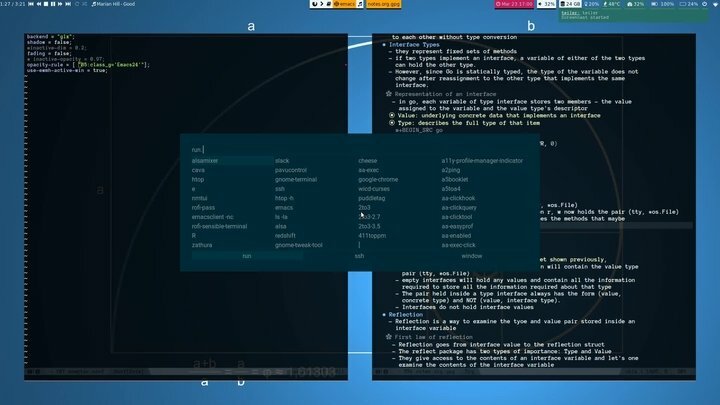 Albert is a lightweight and compact application launcher for your everyday Linux machine. Well, technically, it’s just a keyboard launcher. 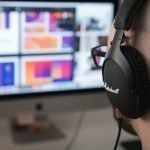 But, Albert offers an extremely powerful yet flexible experience that not only improves your overall productivity but also makes sure your workflow doesn’t get interrupted for a single instance. You can make use of the beautiful minimalist window to locate files across your entire filesystem. From launching applications from there to running custom scripts, you get it all with this powerful modern-day launcher. Albert is one of those few Linux application launchers that lives up to its hype and forces users to come back to it whenever they seek new alternatives. Albert is vibrant in look while rich in terms of UI elements, owing much of the credit to C++/Qt though, its GUI base. Users can develop and extend their own custom plugins for Albert, thus making sure a sufficient number of such things already exists for you! Albert is blazingly fast due to its light resource usage and C++ heritage. Apart from its default themes, users can define and customize their own themes by utilizing QSS. Synapse is one of the most popular Linux application launchers which has gained user’s trust all over the globe due to its powerful features, synced alongside its convenient flexibilities. Written in Vala, this mesmerizing app launcher utilizes the Zeitgeist engine to help users locate and access their filesystem easily. The opensource nature of this semantic quick launcher program attracted numerous 3rd party developers since its inception. Which, in turn, helped Synapse to emerge into a more cutting edge package overall and placed it among the best Application launchers for Linux. It lets users search all sorts of stuff directly and can be summoned easily by pressing the Ctrl + Space key combination. Zeitgeist keeps a handy log of your recently viewed items, which allows you to locate and access recent files in a fast and intuitive manner. Each of the 4 in-built themes that come with Synapse is mindblowing and can supplement a variety of desktop preferences. 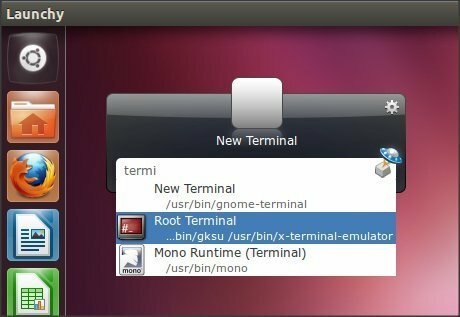 It’s possible to run terminal commands directly in this modern-day Linux application launchers. Configuring Synapse is pretty straightforward, yet bears rewarding fruits in terms of increased productivity. Ulauncher is one of the most elegant application launchers for Linux which offers both steady performance and convenient user experience at the same time. This opensource project is up for modification by 3rd party devs who can modify the project as per their requirement – thus making Ulauncher a striking option for opensource enthusiasts like you. Among many other features, Ulauncher provides built-in support for fuzzy search, custom skins, shortcuts, plugins, and running commands right out of the box. This is one of those compelling Linux application launchers that can suit any user independent of their use cases. If you’re looking for a flexible yet straightforward app launcher for your Linux machine that just works the way you want, Ulauncher can be the one for you. Launching an application is much faster in Ulauncher than many common Application launchers for Linux. Whenever searching through the filesystem or opening a particular file, the eye candy preview window of Ulauncher will make things much smoother for you. 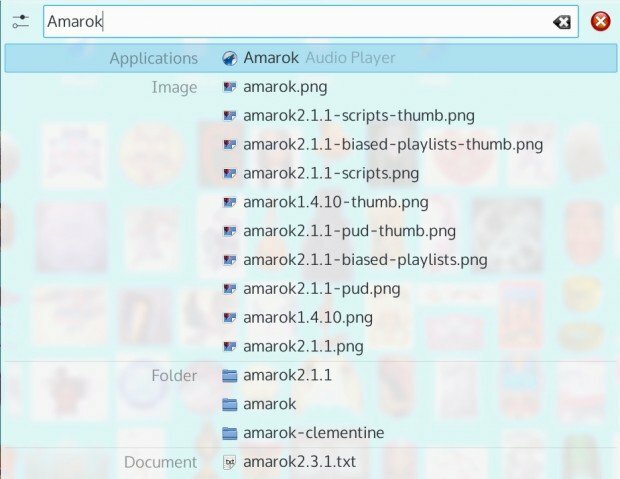 The ability to fuzzy search by app names is present in many Linux application launchers, but Ulauncher makes the most out of it. Developers can build quick extensions for their launcher by utilizing the Python language. Gnome Pie is one of the most enigmatic Linux application launchers featured in this list. With its multiple slice pie-shaped GUI components, it strikes the user as soon as it is installed. A bonus of this slick application launcher for Linux is its high throughput. With a performance matched by few, Gnome Pie certainly makes its way among the best app launchers. The core installation provides a circular launcher made of many pies. You can simply press a key of your choice to invoke the desired pie amongst them. Activated pies thus enable users to launch a specific application, simulating key presses or viewing and opening files. This visually appealing launcher is not only among the best Linux application launchers but also extremely fast and fun to play with. Gnome-Pie makes extensive use of some interesting modern-day human-computer interaction models (namely Fitts’ law) for aiding their users to experience a whole new level. It enables you to open pies via gestures, a rare feature in most Application launchers for Linux. Kupfer is among those Application launchers for Linux who offer fast and convenient access to your filesystem and applications in an aim to keep up with your continually increasing workflow. Currently, at its third major release, Kupfer has gained quite a name for itself, owing thanks to its super simple design paired with non-compromising performance. Kupfer is most suited to people who want lightweight and efficient Linux application launchers to find a particular application and run it without going into too much hassle. The opensource project is very much extensible, and you can easily find great third-party plugins that offer further functionalities. The GUI command bar of Kupfer is minimal in design yet offers quite a nice preview of search items. Users can see and modify the UX preferences of Kupfer as they dim fit. Kupfer enables users to run commands saved inside a file through the kupfer-exec helper script. It performs exceptionally well in GTK+ desktop environments. Kupfer allows users to load extensions directly at runtime. Launchy is one of the best free Linux application launchers to boost your decreasing productivity. This simple yet powerful application launcher prioritizes user experience above others and puts extremely powerful features wrapped together with a neat GUI for increased ease of use. It’s one of the most beloved application launchers for Linux per our experts. On top of that, the cross-platform nature of Launchy makes it possible to use the same application launcher for multiple systems. Many who need to operate more than three or four systems like me would find this scenario much familiar. So, it is an added bonus. CNET and Lifehacker have also featured this captivating app launcher. Launchy is easy to build for Debian based distros as the developers roll out .deb packages directly. Playing with themes and skins is a fun thing to do in Launchy, with the easy availability of many popular opensource skins. Although its been years since the last release, Launchy’s opensource nature means you can modify the project as you see fit for your use. Dmenu is one of the most compelling application launchers for Linux that our experts have laid hands on. This powerful dynamic menu for X can manage a substantial number of user-defined menu items effectively. It is among those Linux application launchers that consume the least amount of resources but provides the best of performance. The suckless development nature of Dmenu helps it to focus more on simplicity, clarity, and frugality than resource hogging UX features. The source code is up for grab and customization if you feel too constrained with the default launcher and want to grow your Dmenu to specific directions. It is indeed among the fastest Linux application launchers we have seen so far. The application neither runs in the background nor does it consume much RAM, so lagging is almost an impossibility. From colors and prompt to location and size, everything visual can be customized as per the user’s demand. The keyboard-centric nature of Dmenu allows you to make efficient use of your Linux machine without the need to use the mouse. 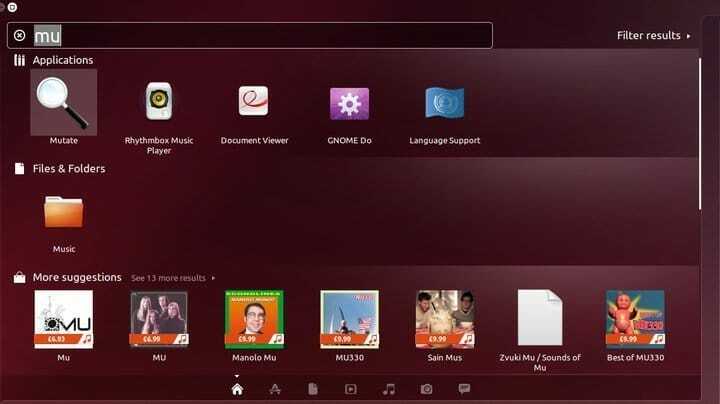 If you want a compelling application launcher that will allow you to search for files across your entire system, both online and offline, GNOME Do is one of the best Linux application launchers for you. 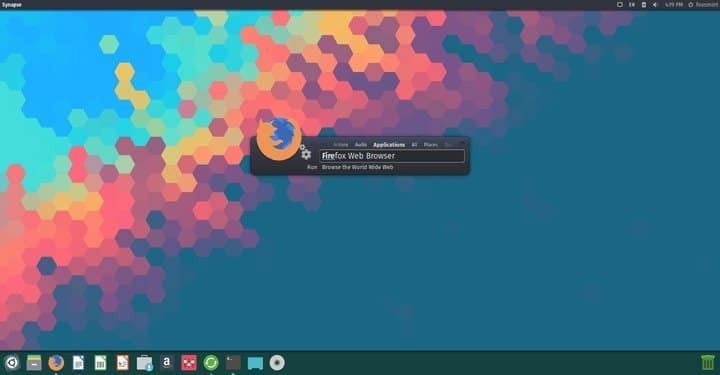 The versatile features of this modern-day app launcher, combined with its simple to use interface, makes the GNOME Do a perfect fit for modern Linux machines. Among its other offerings, this Linux application launcher provides great speed and smart autocomplete feature, which you can extend with plugins even further to curate to your specific needs. Users mostly use the GNOME Do for sending emails, playing music, surfing the internet, and such. GNOME Do offers a wide array of useful plugins to improve the capability of your launcher and establishing a powerhouse. You can set or modify the looks of this Linux application launcher as per personal taste. The ability to use this launcher to post on microblogging sites like Twitter makes it much more attractive. GNOME Do can search your Google contacts blazingly fast and show details almost in real-time. Lighthouse is one of my most favorite Linux application launchers in this guide. The software comes with a minimalist search bar which suits to every machine, independent of the system’s environment. It also features a nice instant preview for the search items. Overall, the design is elegant while the performance up to the mark. You can invoke the launcher via pressing the hotkey. This hotkey can be configured very easily to match your desired key. The source is available, so you only need to compile it into a binary, and the software is ready to run. Alternatively, you can download the pre-packaged binary if you’re on a Ubuntu-ish machine. Lighthouse is simple, fast, efficient and makes other Application launchers for Linux to lose their charm on you pretty fast. The launcher is hundred percent customizable, meaning you can tinker with the code and tweak preferred functions as you like. Lighthouse gives its users the ability to harness one of the most powerful Linux application launchers without adding unnecessary bulk to their system. Apwal is one of those compelling Linux application launchers that gives users the ability to utilize both a powerful launcher while maintaining top-notch user experience at the same time. You can set your personalized search path preferences, customized icons, drag and drop menubar, wildcards, and many more in this app launcher. Although we’ve heard people complain that Apwal requires time to pick up, in our experiences, it was quite easy to install and get going. If you are searching for heavy lifter application launchers for Linux that can be used to reach virtually anywhere in your machine without any lag, then Apwal might be the best fit for you. Unlike other Linux application launchers featured in this guide, Apwal isn’t keyboard-centric; instead, it incorporates a mouse-centric working model. You can bind a preferred hotkey to launch this application launcher instead of a mouse click, like Alt + Space. Apwal offers a perfect visual experience in GTK+ desktops. Owing to its C base, Apwal works exceptionally faster than traditional application launchers for Linux. DockbarX is one of the most lightweight Linux application launchers available right now. It’s a perfect solution for users who want simple yet effective application launchers for Linux systems with older hardware resources. The free software offers many of the standard features of mainstream Linux application launchers and is a suitable solution for low-resource machines. You can use the app launcher as a stand-alone dock or simply as panel applets. The XFCE panel is enjoying quite a name for some time, and other options are available in the forms of gnome panel or matepanel applet. You can select the preferences dialog easily from your applications menu and customize it. DockbarX is one of the best choice application launchers for Linux when it comes to XFCE users. The inbuilt settings of this Linux app launcher are easy to play with and modify as per user requirements. It is quite easy to develop beautiful and vibrant themes for this launcher; you need to just put the theme files in ~/.dockbarx/themes or /usr/share/dockbarx/themes . Plasma Kickoff is the default application launcher in the iconic Plasma desktops. In the default configuration, it sits at the left corner of the bottom panel and besides providing access to your Linux applications, serves as a tool to access different places on your system. The Plasma Kickoff also shows an active list of recently used documents. You can modify this mesmerizing app launcher to function similarly to more speedy, traditional menu-based application launchers by switching the launcher’s appearance to the Classic Menu Style quite easily. Although by doing so, you’ll lose the search box present in the default packaging. Kickoff is the default application launcher in KDE Plasma desktops. The favorites tab keeps a handy list of most used applications which increase usability during longer development sessions. The application tabs break down your installed Linux applications into several categories so that you can find appropriate apps much quicker. The search bar of the default installation is intuitive and offers a fast way to access specific applications on your machine. Mutate is one of the award-winning Application launchers for Linux that aim to boost their user’s productivity to a new level while making sure they don’t fail to keep up with increasing modern-day workflow. Inspired by MacOS’s Alfred, Mutate increases your productivity by employing convenient hotkeys, keywords, and file actions right at your fingertips. The launcher is readily available if you’re on Ubuntu or Fedora systems. Users of the Arch system or other distros can quickly build the software from its source. The opensource nature of the project attracts a substantial number of third-party devs who wield powerful extensions based on Mutate. Mutate allows users to find desired applications or files much quicker than contemporary Linux application launchers. The smart hotkey integration enables support for quick actions in this compelling app launcher for Linux. The launcher lets users kill off unwanted or resource-hogging processes directly from the launcher. It can search on the web for queries pretty effectively and has built-in support for Google translate. The default hotkey for opening Mutate is Ctrl + D, but you can easily set it to other combinations by modifying the preferences. Krunner is one of the most lightweight yet effective Linux application launchers that you can use on older systems without any lagging. The launcher was initially built for the KDE Plasma desktop and meant to be an alternative to the Plasma Kickoff. Apart from searching and invoking applications from the mini command bar, users can utilize third party ‘runners’ to accomplish a range of productivity-boosting tasks with it. The launcher enables users to type into a text area that causes several actions and information matching the search query appears before the user in real-time. You can launch the launcher directly via pressing on to the Alt + F2 key combination. The application is exceptionally fast, owing thanks to its clever incorporation of Qt, and QtQuick using QML. 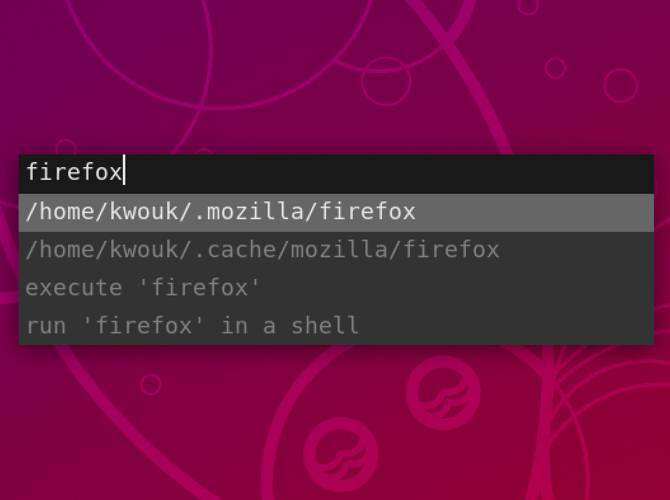 Users can directly use this Linux app launcher to open websites by simply typing an URL into the text box. It provides a handy way to access the files and folders on your Linux system. The opensource nature of this app launcher makes sure lots of powerful extensions are available from third-party devs. If you’re running an XFCE desktop and feeling a shortage of modern Linux application launchers for your system, then this launcher is for you. The Whisker Menu is tagged as an alternate app launcher for XFCE environments and supports quite a number of cutting edge features to aid to your continually increasing workflow. The utility lets you search and access your installed applications pretty quickly and intuitively. Users can save frequently opened items into a favorite menu and browse through every application on their Linux system with the convenient app launcher. Browsing the top-level categories is faster than most application launchers for Linux and switching much simpler. You can customize the favorites list easily by dragging and dropping applications onto it directly. The focused nature of the search bar means you do not necessarily need to know the full name of what you’re trying to find. You can easily add an option for switching the position of different categories and launchers. The Whisker Menu app launcher can load applications instantly. A ready to install .deb package is available for Debian users, while others can build directly from the source. Slingshot is the default application launcher in Elementary OS, one of the most compelling Linux distros in terms of visual appeal. The launcher is primarily meant to work on GNOME desktop environments, and support for extending it for using in other settings are still not in work. It’s certainly among the most enigmatic Linux application launchers, and a must try if you’re on GNOME. The design concept of the menu is outrightly mesmerizing. Although there have been reports placing Slingshot among resource constraining application launchers for Linux, we understand the trade-off chosen by its development team. If you’re on a GNOME desktop and want to awe-struck your fellow peers by flashing a gorgeous app launcher before their eyes, Slingshot is the best shot for you. The design of the interface is clean and minimal in visual yet appealing in style. The launcher gets out of the way and makes you focus on things you are bound to do. Searching for applications is relatively easy in Slingshot than many contemporary application launchers for Linux. Contrary to popular belief, the launcher is quite lightweight compared to other Linux application launchers. Zazu is a simple yet powerful Linux app launcher aimed at hackers, creators, and dabblers, according to the dev team. 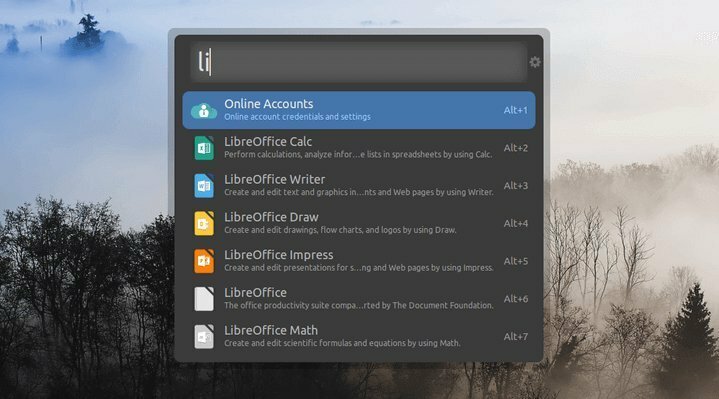 The opensource launcher utility is exceptionally customizable and has a substantial number of helpful plugins available to improve your productivity. A solid performance, equipped with its lightweight components, Zazu stands out to be one of the best Linux application launchers to emerge in recent times. Zazu is developed to be fully configurable as needed by the user and can take on a wide array of helper task. The handy package manager lets users manage their files and applications seamlessly while the compelling file finder can locate and access files deep inside your filesystem with nanoseconds. Zazu lets you switch between the file finder, app launcher, and screen saver much more efficiently than traditional Application launchers for Linux. The opensource development paradigm of Zazu makes sure you can always get a sufficient number of usability increasing plugins available. The clipboard history feature is simple yet unique and boosts the overall productivity considerably. You can hack the launcher for curating out personalized features as you see fit. If you’re a fan of Linux application launchers that are similar in look and feel to MacOS’s launchers, then we suggest you check out this application launcher. The launcher sits at the edge of the users’ desktop and keeps an effective track of open windows. The incorporation of large icons on a translucent background adds a sense of visual appeal and increases readability of this eclectic application launcher. Due to its opensource license, a considerable number of high-quality plugins and applets are available for this Linux app launcher. From displaying the progress bar of your browser downloads to controlling a music player like Rhythmbox; Avant Window Navigator allows you to perform a lot of small but independent tasks at once. This application launcher is written in C, Python, and Vala. The availability of a plethora of helpful plugins makes Avant Window Navigator stand out from other Linux application launchers quite easily. Customizing this powerful app launcher for Linux is straightforward and rewarding. When finding the perfect Linux application launchers for your system, you need to keep your preferences first. A substantial number of high-quality avant-garde application launchers for Linux systems have been released in the last few years. Which will work for you depends on why you use them and how you use them. 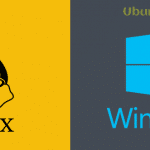 Our experts here, at UbuntuPit, have tried their best to outline all the possible options you may consider in your pursuit of the best Linux application launchers. Hopefully, we were able to provide you the insights you were looking for. HI, these are great suggestions. I was trying to install Slingshot on Ubuntu 18.10. The downloaded tar file contains some instructions, like adding a elementary ppa:elementary-os/daily. But I get an error message saying: package can’t be found. Using cmake for manual installation also returns lots of missing packages (like gee) that can’t be located in the repositories.